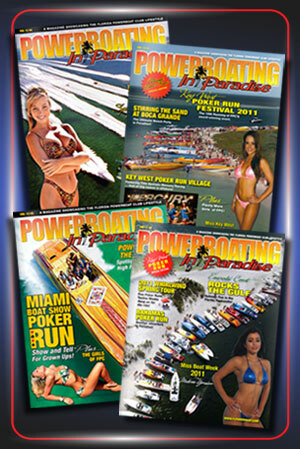 FPC Photo Galleries - Boats, Girls, Events and More! The 9th Annual Tampa Bay Poker Run was a huge success as members gathered for a weekend of fun and excitement. Check out the photo gallery below for card stops and impeccable aerial shots. It’s safe to say that most agree, the Key West Poker Run is one of our favorite events of the year and the FPC girls make it even more enjoyable. Check out the photo gallery of the FPC girls in Key West who you will likely remember from past events as well. The Emerald Coast Powerboat Poker Run would not be complete without an epic awards party to complete the day. Guests enjoyed an incredible spread of food, delectable desserts and delicious cocktails as winners accepted awards for their poker hands. After 3 days of activities on and off the water, the main event took place on Saturday as participants gathered for the Emerald Coast Powerboat Poker Run. The 4 classes for the run included Sportboat, Performance, Hi-Performance and Yachts & Cruisers. Check out the photo gallery below for some of the action! The Friday Fun Run from Emerald Grande to Juana’s provided an exciting day on the water as captains and crew loaded their boats for a day of adventure before returning for the weekend kick-off party at AJ’s. Check out some of the FPC members and their boats in the photo gallery, below. Harborwalk Village played host to our annual “Trucks N’ Boats” Powerboat Parade as FPC participants took over the streets of Destin, FL. Surrounded by restaurants, shopping and more, locals and visitors came out to see the powerboats as the main attraction of the evening. We had a great time with our fellow FPC members exploring the stunning waters of the Bahamas! Take a look at photo gallery 2, below, to see some beautiful photos of our adventures on the 2018 Bahamas Poker Run!